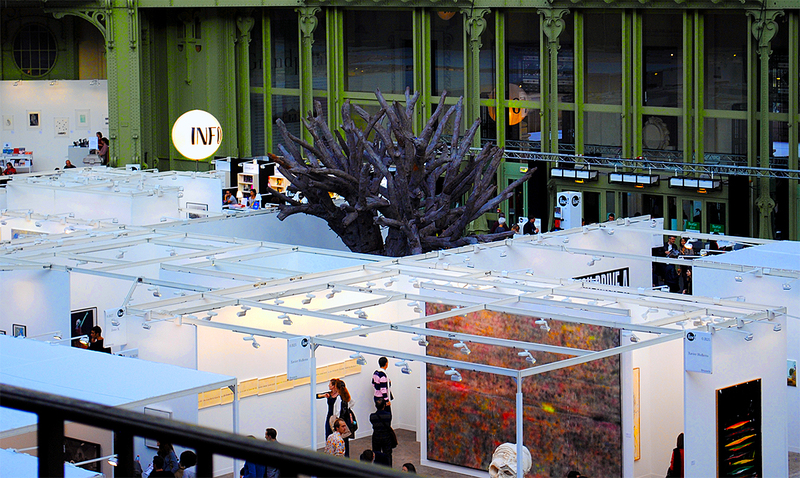 For its 40th edition, the International Contemporary Art Fair – FIAC, a major showcase for artistic creation, continues to develop, and confirms its status as a leading international art fair. 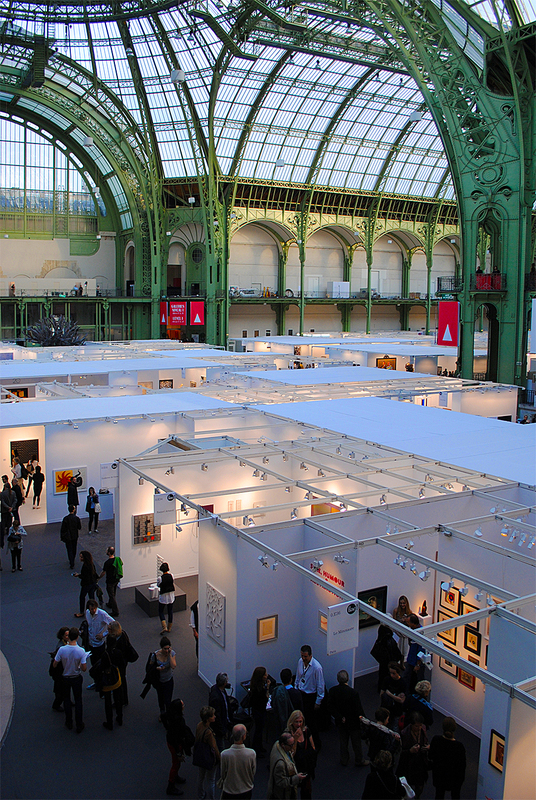 FIAC 2013 at the Grand Palais features over 180 galleries from 25 countries, presenting modern art, contemporary art and emerging trends. At the same time, with its external cultural programme, FIAC demonstrates its desire to strengthen its identity over the long term by presenting an ensemble of outdoor works, series of lectures, performances and screenings of artists’ films in the most prestigious settings in the heart of Paris. 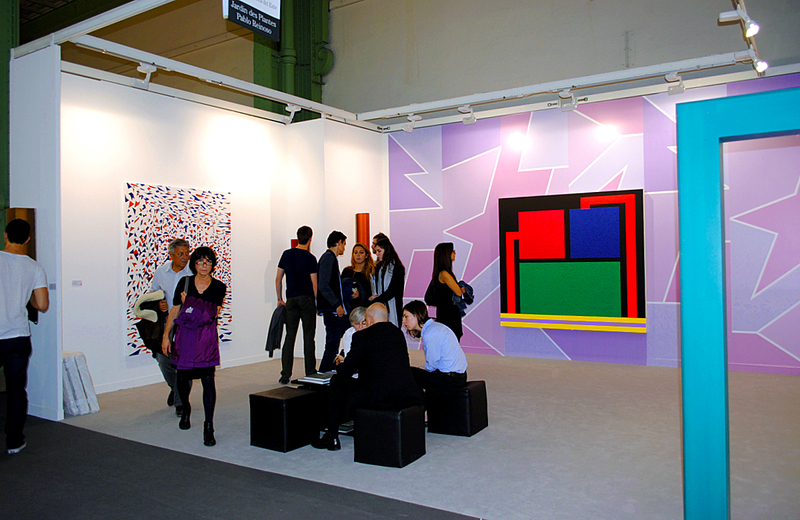 FIAC is distinguished, among the major international fairs, by its strong national contingent and its distinctive European flavour: 30% of the exhibitors are French compared to Frieze London which presents 25% of galleries from Great Britain; FIAC is made up by 73% of European galleries compared to 54% at Art Basel in Switzerland. France is represented by 55 galleries, followed by the United States with 33 galleries, Germany with 22 galleries, Italy with 13 galleries, the United Kingdom with 12 galleries, Belgium with 11 galleries and Switzerland and Brazil with 5 galleries respectively. New countries represented this year include Canada, Ireland and the Czech Republic. 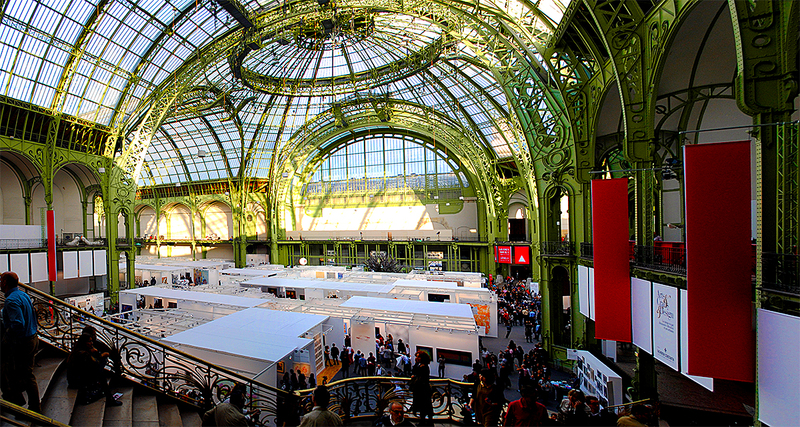 35 galleries are participating for the first time or are returning to FIAC after a period of absence. Sitting with a glass of a refreshing beverage in hand (rhymes with Brouilly) at my favorite Paris cafe, my thoughts turned to my visit to FIAC, the great Paris art fair, now celebrating its 40th year. 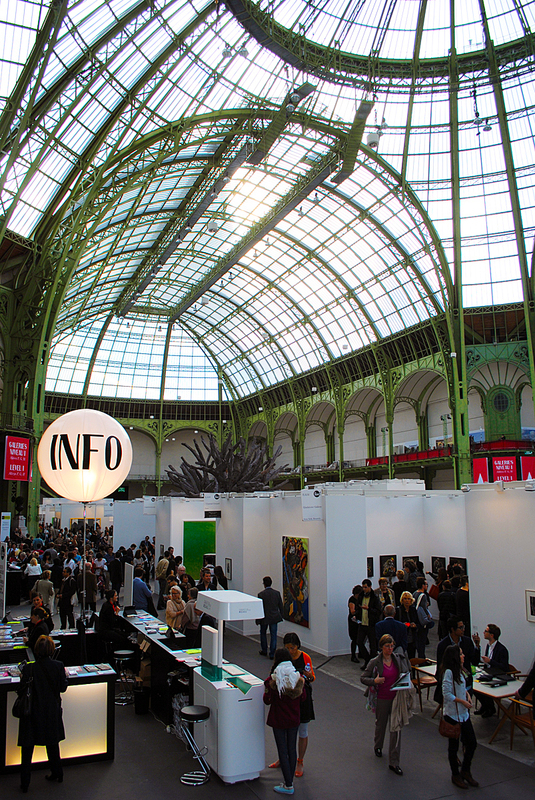 Finally, on Saturday, I went to FIAC, paid my 35 Euro (yikes!) entry fee, which did include a ride on the Seine Batobus, (note, no waiting for cash) and decided to see what ”normal people” thought of the fair. First of all, Jennifer Flay did a wonderful job, FIAC looked wonderful, and the Grand Palais is, as always, an inspiring place to see art. Of course it was hot, with all of the lights, and the sun shining so I was fortunate there was plenty of my favorite refreshing beverage (rhymes with champagne) on hand. Lots of young folks there (always a good sign, because where would we all be without the next generation of collectors). Not so many red dots… although as we all know, that doesn’t always mean so much. • This year, I didn’t see so many things that made me think “I have to have that”. But there were a number of stand-outs. Internationalism? Not so much. There were a couple of galleries from China, none from Africa, Canada, few from South America, Russia. Lots from Europe and some from America. 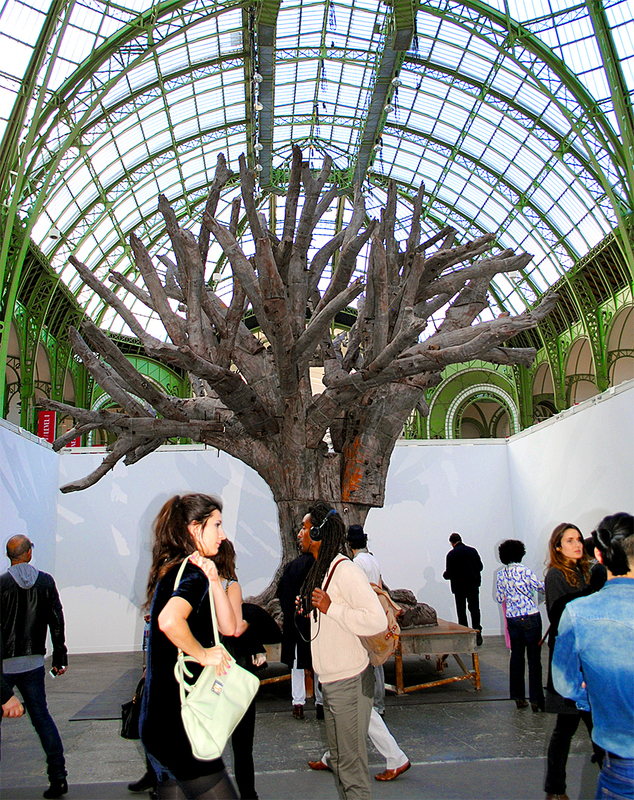 • The FIAC crowds were happy, buzzing, taking photos… but there wasn’t much for them to buy – a problem always at art fairs. Basel in past years solved this problem with a small group of “editions” and a photography section. Your average young (or not so young) collector is not going home with a large (expensive) installation or a 40,000€ sculpture. Sitting at the cafe in the fair, talking with people who had seen much – or all – of the fair, the demand is there – clearly. Most people were happy to talk about work they had and work they liked…and I got the clear feeling that if there had been more affordable work, there would have been more – a lot more – red dots. 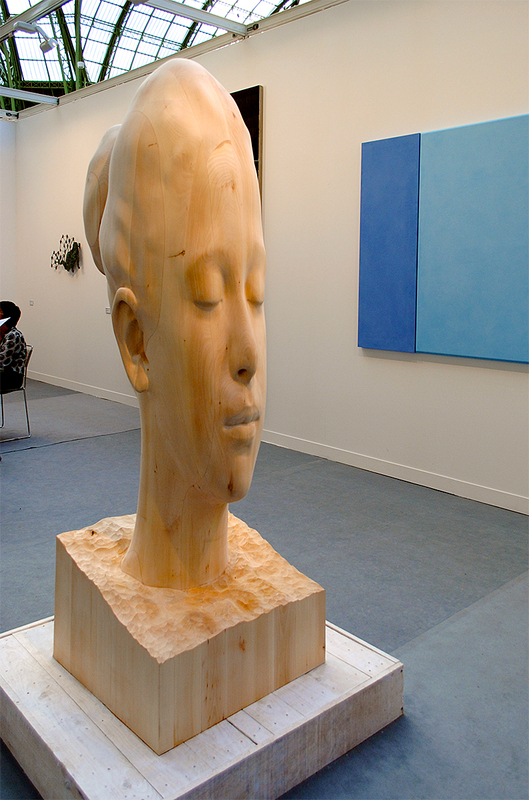 But art fairs now have become so expensive to exhibit in, that galleries now bring their best (read expensive) work. ”Young” fairs, like Slick, next door on the Seine, have tried to show ”young galleries” with more affordable work. But nobody I spoke to had been there, or was planning to… lack of time, additional fee (10€), and I admit, I didn’t go myself for the same reason. 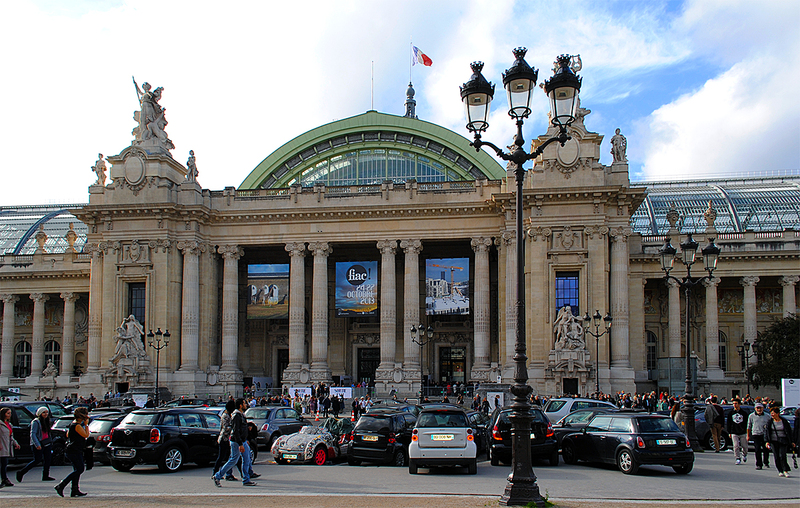 FIAC can’t really expand – lack of space in the Grand Palais – so it will be interesting to see what solution they find. And I can’t wait to see what they come up with… with a refreshing beverage in hand. Jennifer Flay, leading the FIAC for the past ten years, does not like the word “crisis”, yet this unsaid word is present in the vast and rich exhibition beneath the glass arches of the Grand Palais. Despite the price of € 525 per square meter there is barely any free space, however compared to last year the fair seems much more predictable, if not boring. 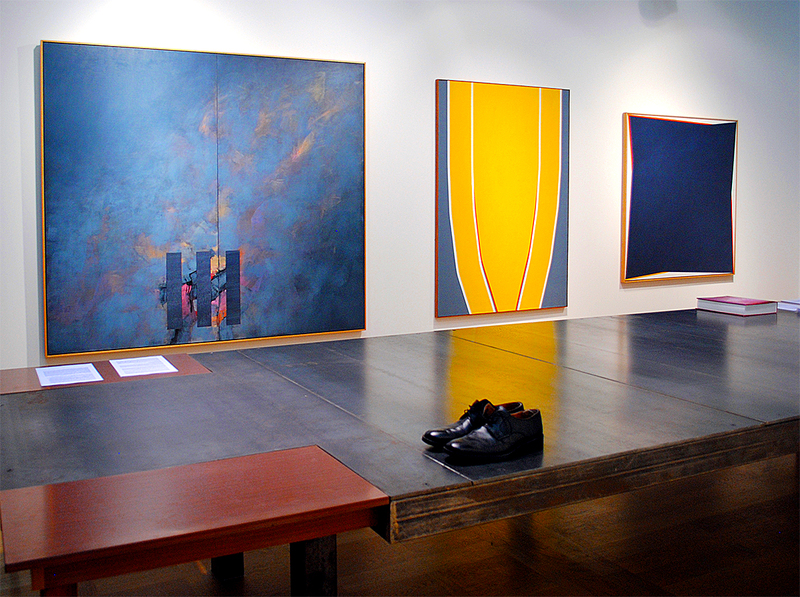 Gallery owners do not come to you with discoveries, but prefer to bet on proven names. Nearly every exhibition booth contains artworks that would make any provincial museum of contemporary art quite happy, but they are priced like St. Petersburg State Hermitage masterpieces. by Maria Sidelnikova and Aleksey Tarhanov, “Kommersant”. 6. Grand Palais. 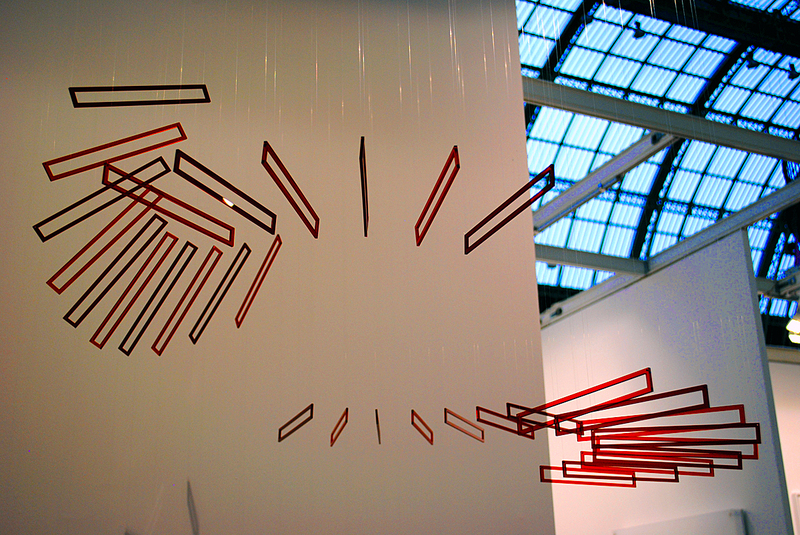 FIAC ’13. Artist Ai Weiwei. 7. Grand Palais. 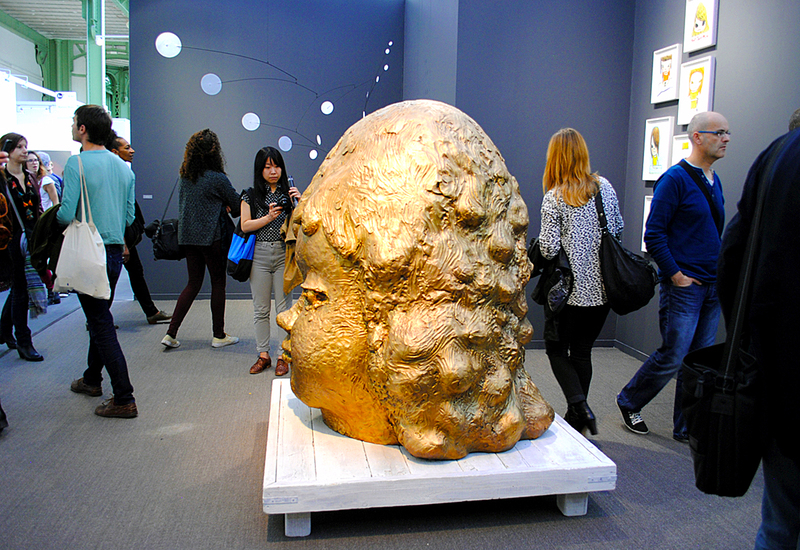 FIAC ’13. Artist David Altmejd. 8. Grand Palais. 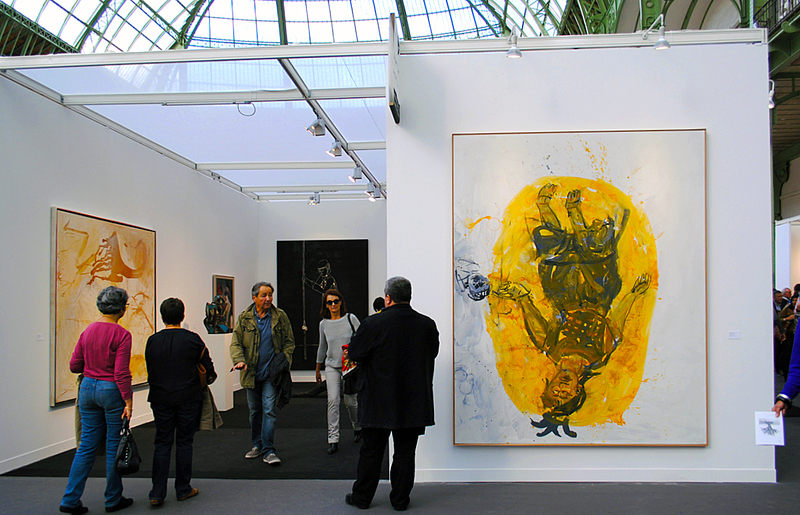 FIAC ’13. Artist Jaume Plensa. 9. Grand Palais. 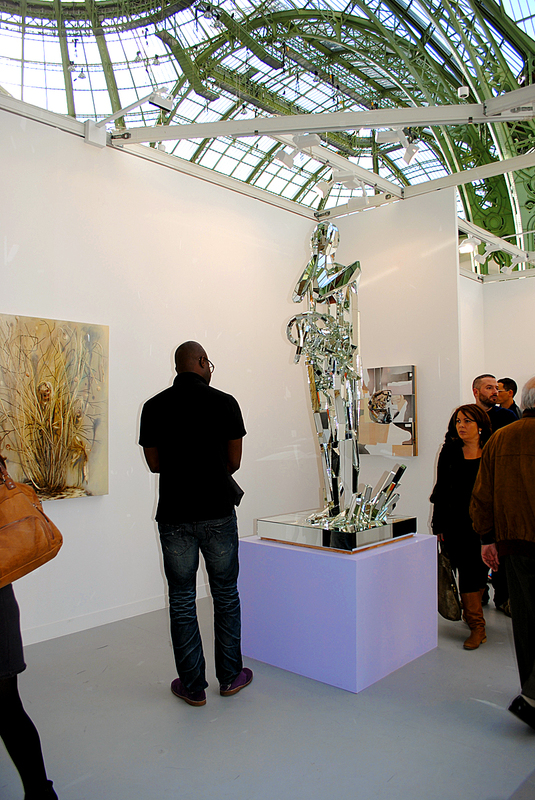 FIAC ’13. 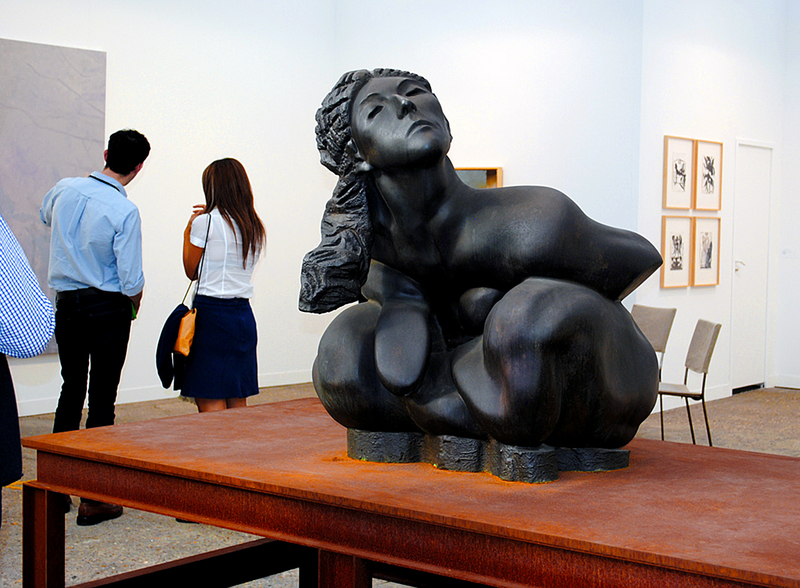 Artist Yeesookyung. 11. Grand Palais. 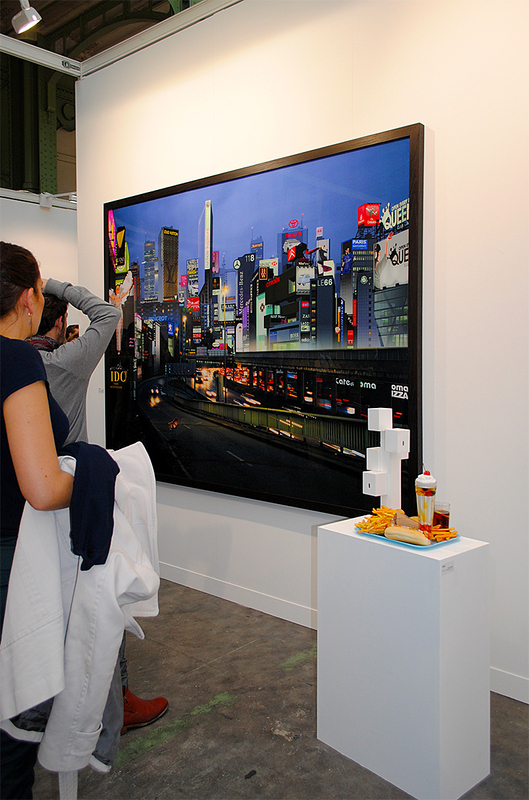 FIAC ’13. 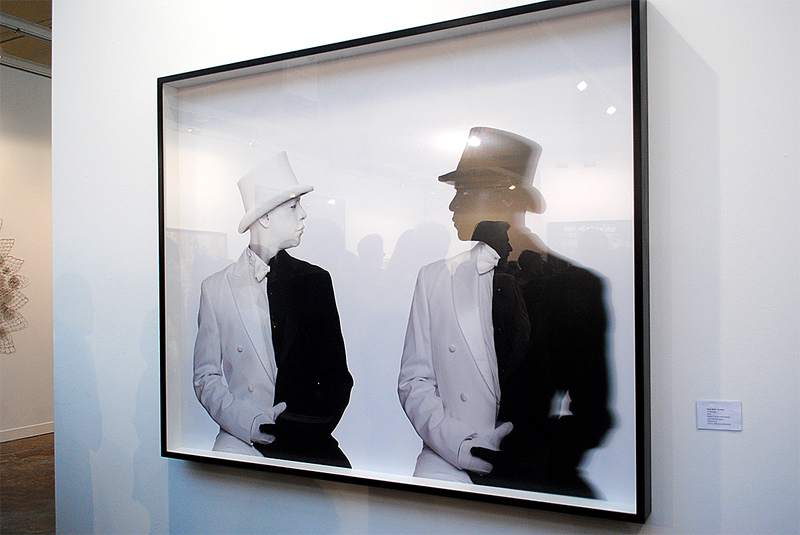 Artist James Lee Byars. 12. Grand Palais. 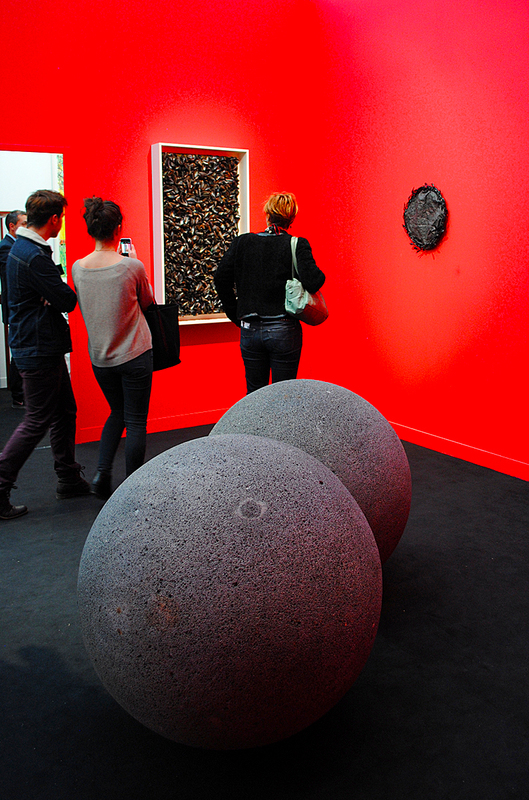 FIAC ’13. Artist Thomas Schütte. 13. Grand Palais. 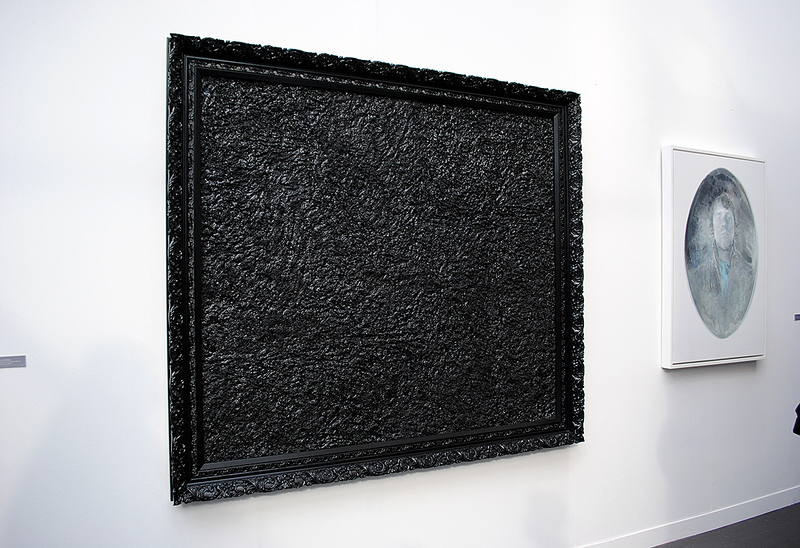 FIAC ’13. 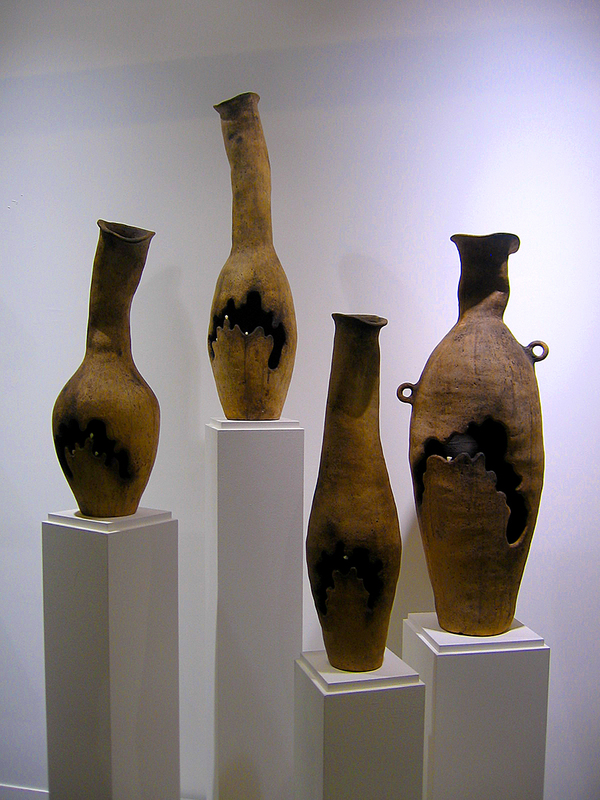 Artist John De Andrea. 14. Grand Palais. 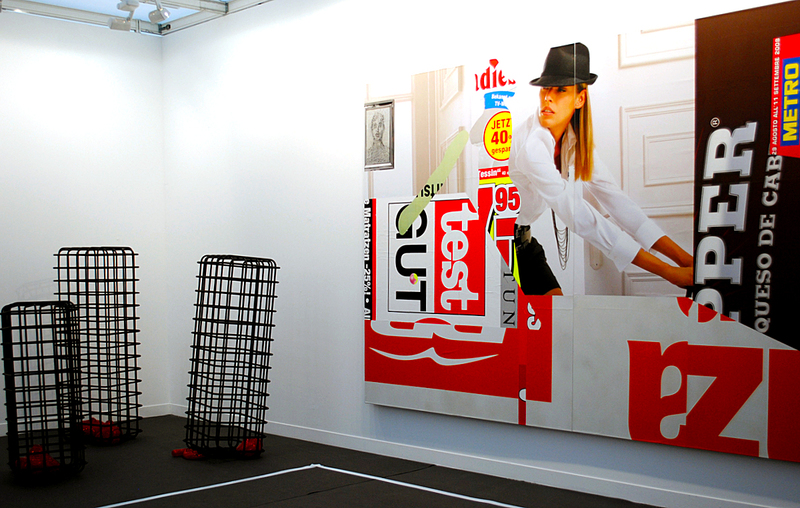 FIAC ’13. Artist Yoshitomo Nara. 16. Grand Palais. 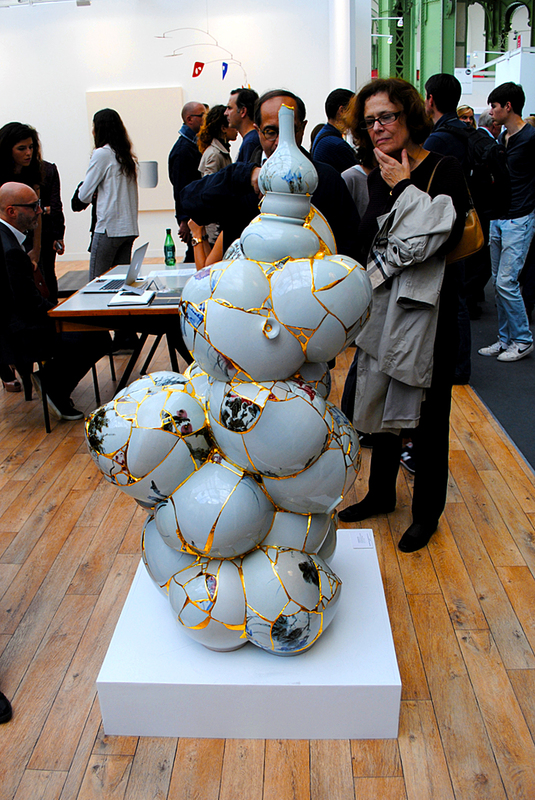 FIAC ’13. Artist Loris Gréaud. 17. Grand Palais. 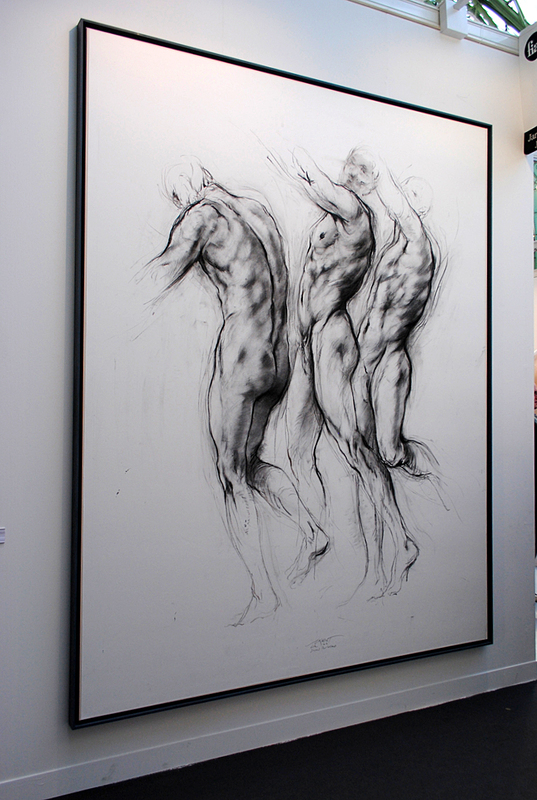 FIAC ’13. Artist Alain Bublex. 19. Grand Palais. 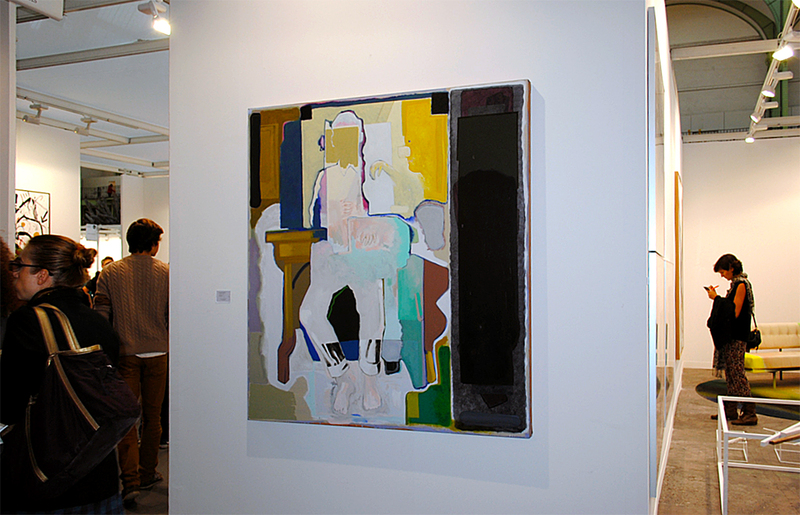 FIAC ’13. Artist Ernest Pignon-Ernest. 20. Grand Palais. 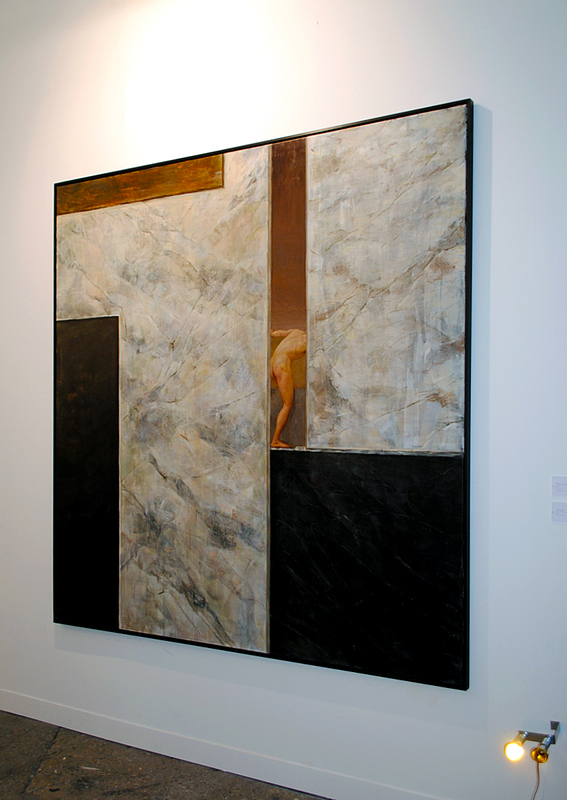 FIAC ’13. Artist Markus Schinwald. 22. Grand Palais. 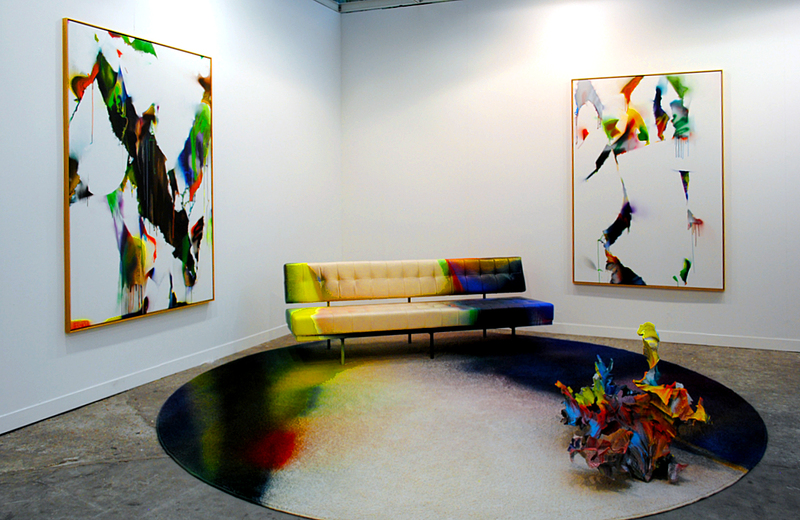 FIAC ’13. Artist Katharina Grosse. 23. Grand Palais. FIAC ’13. Artist Renos Xippas. 24. Grand Palais. FIAC ’13. Artist Albert Oehlen. 25. 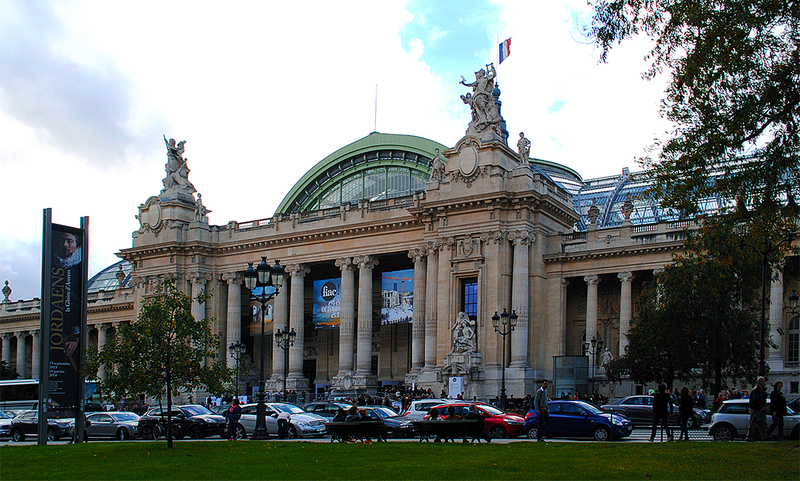 Grand Palais. FIAC ’13. Artist Georg Baselitz. 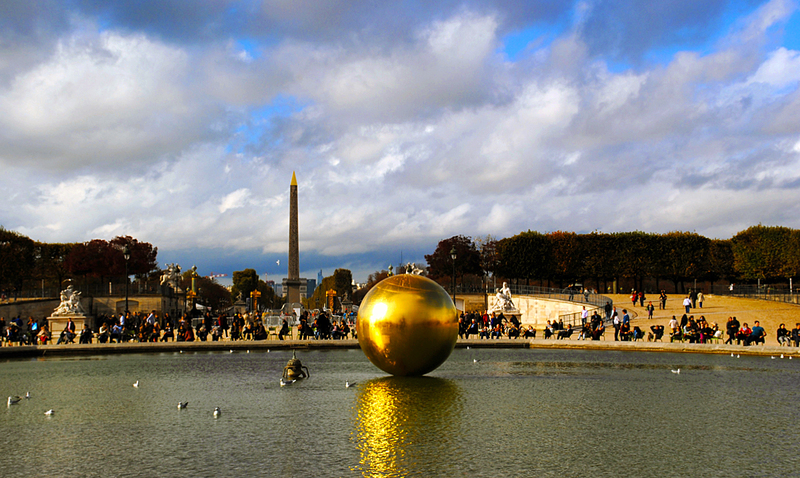 Apart from the major exhibition at the Grand Palais, there are several exhibitions of arts and performances at Jardin des Tuileries, Jardin des Plantes, Place Vendome, Banks of Seine – FIAC 2013.